Cryptocurrencies and cryptographic tokens carry a high degree of risk in a volatile and uncertain market conditions, in addition to other factors that relate to the risks involved in the development of the blockchain technology, cryptographic token exchange, etc. There are significant risks associated with the use of online cryptocurrency wallets and exchange systems including, but not limited to, software and hardware failure and internet disconnection and/or loss of keys and/or wallet addresses. ExCraft is not responsible for such losses or failures. Purchasers of cryptographic tokens run a great risk of incurring losses and damages as a result of purchasing any cryptocurrencies and/or cryptographic tokens. Purchasers accept and declare that they are willing to undertake this risk. The damages may include loss of all funds/contribution and also any other expenses that the Purchaser has made. Before deciding to buy any cryptocurrencies or cryptographic tokens, purchasers should carefully consider their level of experience and risk appetite. The possibility exists that a purchaser could sustain a loss of some or all of their monies and therefore all purchaser should not send monies that they cannot afford to lose. Purchasers should be aware of all the risks associated with virtual commodities and seek advice from an independent financial adviser in case of doubt. Furthermore, there may be risks that are not disclosed in our materials or websites. Purchasers should use extreme consideration and be conscious of assessing their financial situation and tolerance for risks before engaging in activities involving the purchase of virtual commodities. Any opinions, news, research, analyses, prices, or other information contained in this material or on our websites are merely general product/market commentary and does not constitute financial advice from us. 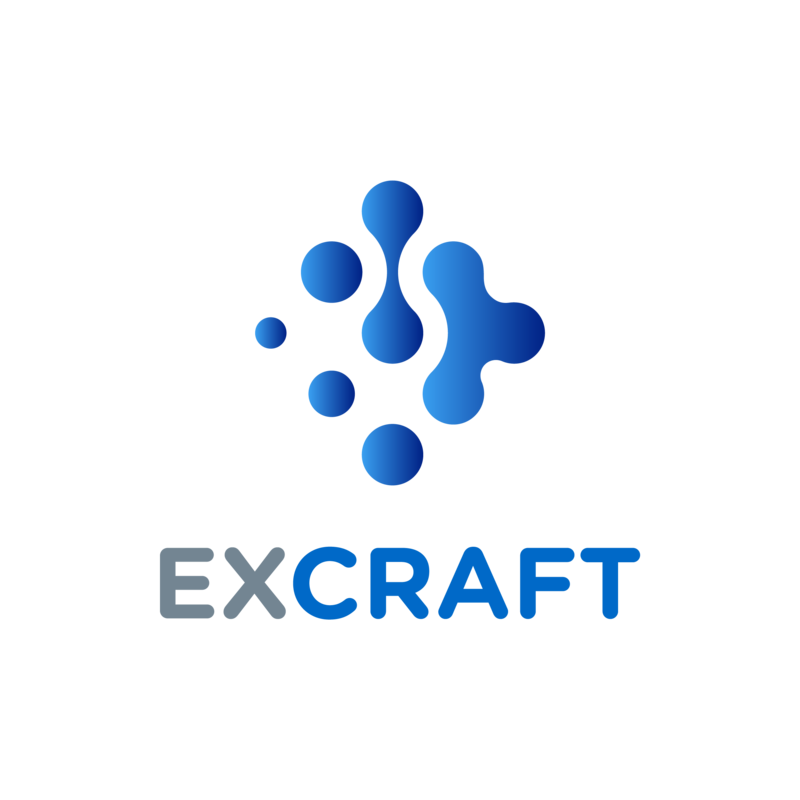 ExCraft will not be accountable for any loss or damage, including without limitation to, any loss of profit, which may arise directly or indirectly from use of or reliance on such information, or on any recommendation. The contents of any report provided should not be construed as an express or implied promise, guarantee or implication that purchasers will profit from the strategies herein or as a guarantee that losses in connection therewith can, or will be limited. Certain information set forth in this material or on our website may contain “forward-looking information”, including “future oriented financial information” and “financial outlook” (collectively referred to herein as forward-looking statements). Except for statements of historical fact, information contained herein or on our websites constitutes forward-looking statements and includes, but is not limited to, the (i) projected financial performance of cryptocurrencies and cryptographic tokens; (ii) the expected development and success of ExCraft’s business, projects and joint ventures; (iii) sources and availability of third-party financing for ExCraft’s projects; (iv) renewal of ExCraft’s current customer, supplier and other material agreements; (v) future liquidity, working capital and capital requirements; and (vi) assumption of legality of cryptocurrencies and blockchain technologies. Forward-looking statements are provided to allow potential investors the opportunity to understand ExCraft’s management’s beliefs and opinions in respect of the future so that they may use such beliefs and opinions as one factor in evaluating an investment. These statements are not guarantees of future performance and undue reliance should not be placed on them. Such forward-looking statements necessarily involve known and unknown risks and uncertainties, which may cause actual performance and financial results in future periods to differ materially from any projections of future performances or results expressed or implied by such forward-looking statements. ExCraft would suggest all persons to familiarize themselves with the risk factors associated with cryptocurrencies, cryptographic tokens and blockchain technology before making any decisions in relation to an investment. ExCraft shall not be responsible for any failure on the purchaser’s part in evaluating thoroughly of the associated risks. Although forward-looking statements contained in this material and on our websites are based upon what management of ExCraft believes as reasonable assumptions, there can be no assurance that the forward-looking statements will prove to be accurate, as actual results and future events could differ materially from those anticipated in such statements. ExCraft undertakes no obligation to update such forward-looking statements if circumstances or management’s estimates or opinions should change except as required by applicable securities laws. The reader is cautioned not to place undue reliance on such forward-looking statements. To the best of ExCraft ’s knowledge, the information contained herein is accurate and reliable as of the date of this material and on our websites; however, we do not assume any liability whatsoever for the accuracy and completeness of the information contained therein. Large amount of the information is obtained from third party sources which have not been specifically verified by ExCraft and we do not make any warranties that such information is or will remain accurate, in particular in the event of such information being fraudulent and misrepresentative in nature. ExCraft cannot ensure that these sources have compiled such data and information on the same basis or with the same degree of accuracy or completeness as are found in other industries. The information contained herein and on our websites does not constitute a due diligence review and should not be construed as such. Any information given in this material and on our websites does not constitute any warranty of merchantability or fitness for a particular use of any cryptocurrencies and/or cryptographic token. It is the purchaser’s responsibility to check the relevant token’s information in order to follow any possible change before purchasing any tokens. This material and anything on our websites are intended to provide information for research purposes only. This is not an investment advice and does not constitute any solicitation or endorsement of any investment and/or investment products. Any investment a purchaser make is done at the purchaser’s own risks and at the purchaser’s full and absolute discretion. The contents of this material are the property of the ExCraft. By continuing with this material or our websites, a purchaser presents, acknowledges and confirms that: (i) the purchaser is a “Professional Investor” for the purpose of the Securities and Futures Ordinance, Cap 571 of the Laws of Hong Kong; (ii) a purchaser will make his/her/their own investment decision without relying on the information contained in this document; (iii) the purchaser is competent to judge the suitability of a product in light of his/her/their own investment objectives, risk tolerance levels etc. ; and (iv) we have no responsibility for reviewing / assessing whether particular products are suitable for anyone. This material or our websites does not constitute an offer or invitation to purchase or trade for any securities and no part of it shall form the basis of or be relied upon in connection with any contract, commitment or investment decisions in relation thereto. We do not make any warranties that any cryptographic tokens have or will be registered under the US Securities Act of 1933, as amended, or the securities laws of any state of the United States, or any other securities law in the world. any cryptocurrencies and/or cryptographic tokens being classified or treated by any government, quasi-government, authority or public body as a type of currency, securities, commercial paper, negotiable instrument, investment instrument or otherwise that results in it being banned, regulated or subject to certain legal restrictions.